Blend milk gradually into cream cheese with wire whisk in a bowl; whisk in lemon juice, Worcestershire sauce, and garlic salt. Stir shrimp through cheese mixture until evenly mixed. 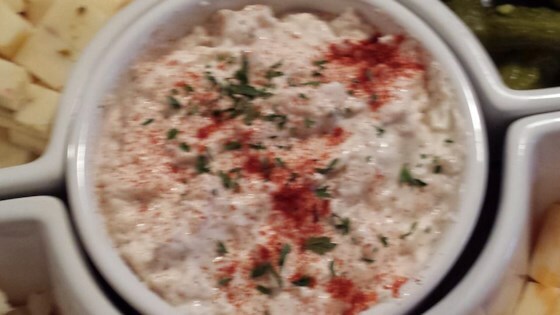 I have been making this exact dip for over forty years! The only thing I do different is to spread seafood chili sauce in top. Always a hit. very good and simple to do .